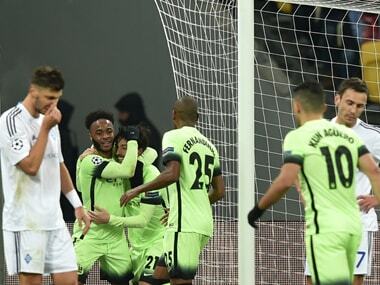 Manchester City produced a superb European away performance to beat Dynamo Kiev 3-1 while PSV Eindhoven held out with 10 men to draw their tie with Atletico Madrid in the first leg of Champions League last-16. The two Manchester clubs enjoyed victories in a happier night for England in the Champions League on Wednesday, while the individual performance of the evening came, not for the first time, from Cristiano Ronaldo. 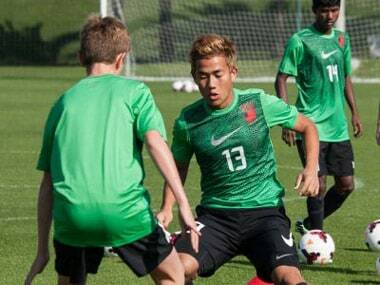 Milan Basumatary and Bidyananda Singh, two cadets from AIFF’s Elite Academy in Goa have been chosen for trials at PSV. 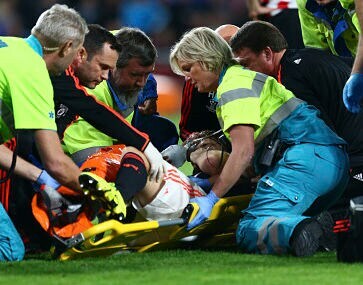 Italy striker Stephan El Shaarawy headed the opener with Tim Matavz equalising for PSV from a rebound after Christian Abbiati failed to hold Jeffrey Bruma's scorching drive on the hour.